This post brought to you by PHILADELPHIA cream cheese . All opinions are 100% mine. There’s nothing better than warm gooey cinnamon rolls on Christmas morning, and this recipe makes easy work of the preparation by utilizing a bread machine to do much of the work for you. They taste just like the cinnamon rolls that are sold at overpriced mall food courts, but you can make an entire batch for the same price as one that you’d buy at the mall! These cinnamon rolls can easily be prepared the night before Christmas and placed into the refrigerator (covered). 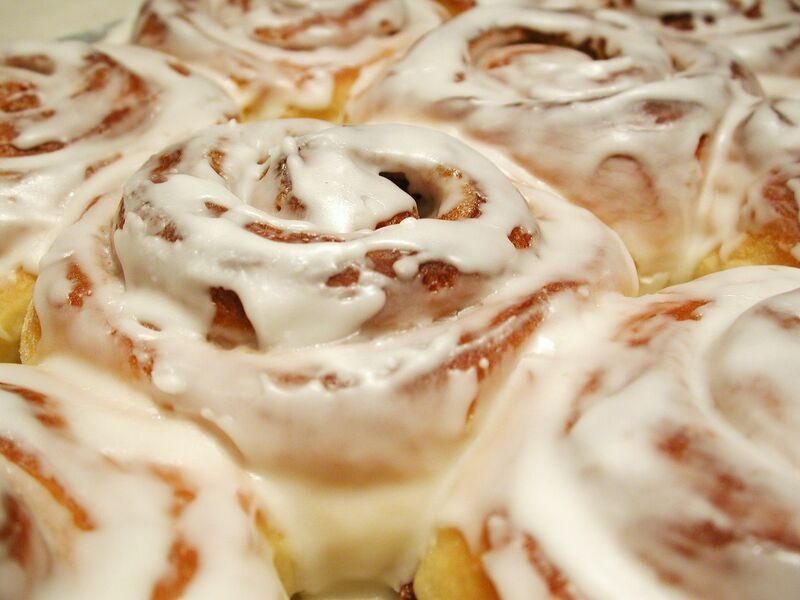 In the morning, just remove the cinnamon rolls from the fridge, and let them sit for about 45 minutes to an hour to come to room temperature and rise before baking. Easy peasy! Place dough ingredients into the pan of the bread machine in this order: milk, eggs, melted butter, sugar, flour, salt and yeast. Set the machine to the dough cycle and press start. In a small bowl, combine brown sugar and cinnamon. When the dough cycle has finished, roll the dough into a large rectangle (approx 16″x22″). Spread dough with softened butter and sprinkle evenly with sugar/cinnamon mixture. Roll up dough and cut into 14 rolls. Place rolls in a lightly greased 9×13 inch baking pan. Cover and let rise until doubled (about 30 minutes). While the dough is rising, preheat the oven to 375 degrees. Bake for 15-20 minutes until the tops are a light golden brown. Whip together PHILADELPHIA cream cheese, butter, powdered sugar, and vanilla to create the frosting. 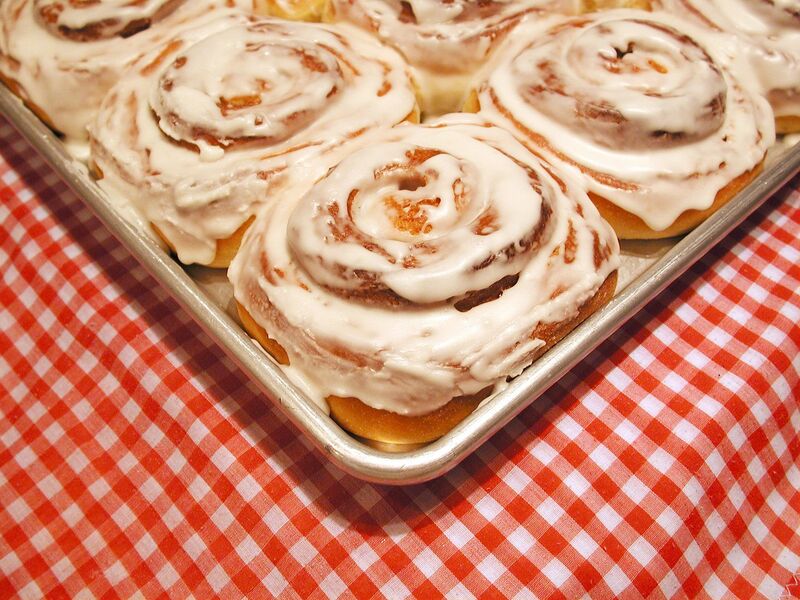 Spread on cinnamon rolls while they’re still warm and serve immediately. This icing is seriously amazing! If you’re looking for more great recipes for your holiday entertaining (or ANY time, really! ), click the green link below to visit the Sam’s Club and Kraft website. It’s packed full of all kinds of delicious looking recipes and meal inspiration including some additional goodies made with PHILADELPHIA cream cheese. There’s a database of everything from snacks to desserts, so be sure to pin your favorite recipes to Pinterest so that we can all share in your findings!